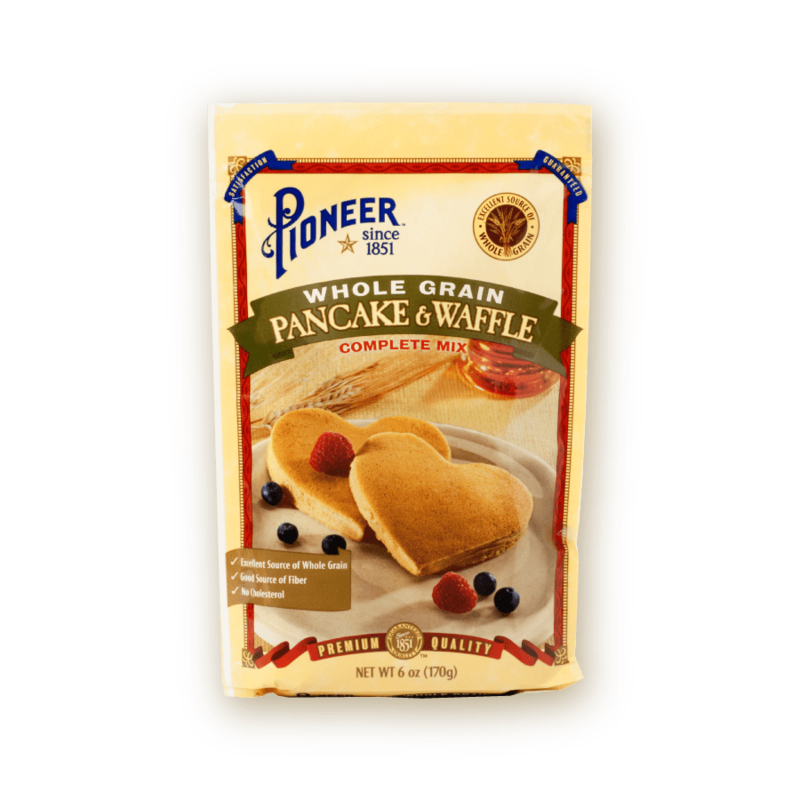 Pioneer Whole Grain Pancake & Waffle Mix is delightfully delicious and ideal for those wanting a healthier option. Our premium ingredients are expertly mixed and thoughtfully preportioned, all you need to do is add water. Each batch contains a healthy dose of whole grain, a cholesterol-free source of fiber that you can feel good about serving to your friends and family. 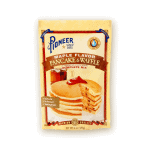 WHOLE WHEAT FLOUR, WHEAT FLOUR, SUGAR, CORN FLOUR, DEXTROSE, BUTTERMILK, FRUCTAN, SOY FLOUR, CONTAINS LESS THAN 2%: CALCIUM ACID PYROPHOSPHATE, SODIUM BICARBONATE, SALT, MONOCALCIUM PHOSPHATE, POTASSIUM BICARBONATE, ROSEMARY EXTRACT.